Tart cherry juice not only tastes great, it contains a high level of melatonin a potent antioxidant that can help relieve the pain of arthritis, gout, and even headaches. 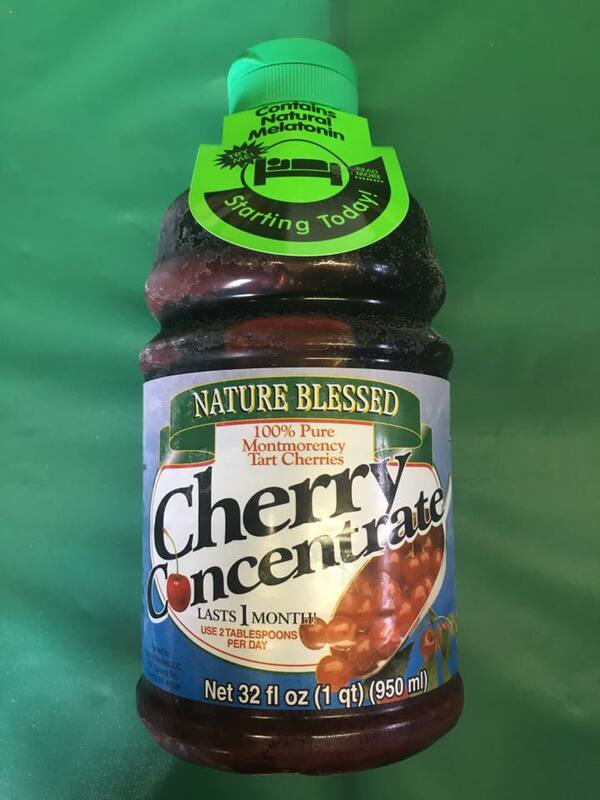 Research done by Michigan State University also shows that Tart Cherry Juice Concentrate can reduce the risk of cancer, heart attacks and vericose veins. Our Cherry Juice Concentrate can be stored up to four years in the freezer and four months in the refrigerator. Each convenient quart container of concentrate will last approximately 1 month if used daily as recommended. This averages out to only 83 cents per serving. A Healthy Choice . . . Realize health benefits in about 2 weeks with recommended use. Use a minimum of 1 oz. (2 tablespoons) of diluted concentrate every day. Normal dilution rate is 1 oz. (2 tablespoons) per 5 to 8 ounces of water. 1 oz. of Red Tart Cherry Concentrate is equal to about 20 Red Tart Cherries. The same chemicals that give tart cherries their color may relieve pain better than aspirin and ibuprofen. Cherries may provide antioxidant protection comparable to commercially available supplements, such as vitamin E and vitamin C.
Eating about 20 tart cherries per day could reduce inflammatory pain and benefit the consumer with antioxidant protection. Twenty tart cherries contain 12 to 25 milligrams of active antioxidant compounds.